The Bluff Beach is a popular spot with locals and tourists and on any given day you can expect to see a couple of tour buses parked up at Wakatehaua Island and numerous locals and visitors to the region fishing from the rocks. Fishing is the most popular activity at the Bluff but the beach also sees its fair share of sightseers, surfers and swimmers. 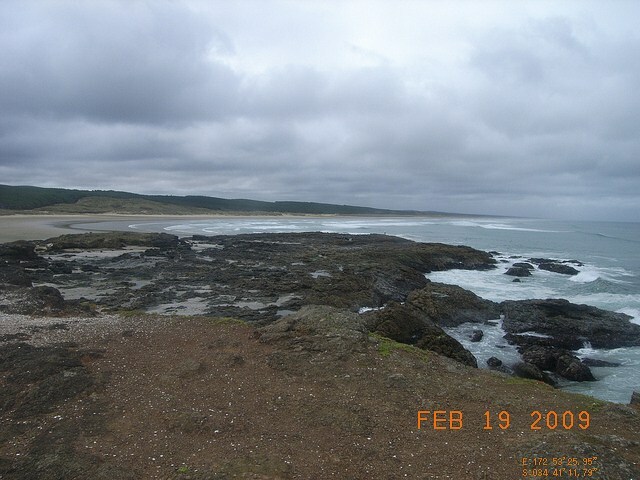 The Bluff is very exposed to swell with average wave height in the region of 1.5 metres. These powerful swells combine with strong rips, currents that are associated with Wakatehaua Island. The Bluff is a very dangerous beach and all users should be very cautious. There is no Lifeguarding Service. A good beach for families however limited facilities and can be dangerous in poor conditions. Swimming around the rocky outcrops that steam from the island is very dangerous even when the waves are small. Strong currents and rips form around the island. The beach is very dangerous with strong rips and currents forming anywhere. Swimmers should only go in the water if they are confident and if the waves are above a metre, swimmers should be very cautious. It pays to check both the north and south of Wakatehaua Island as wave conditions may vary a great deal either side. Surfing at the Bluff can be good. Bars form off the island and the surrounding rocks. The beach gets good waves under the right swell and weather conditions. 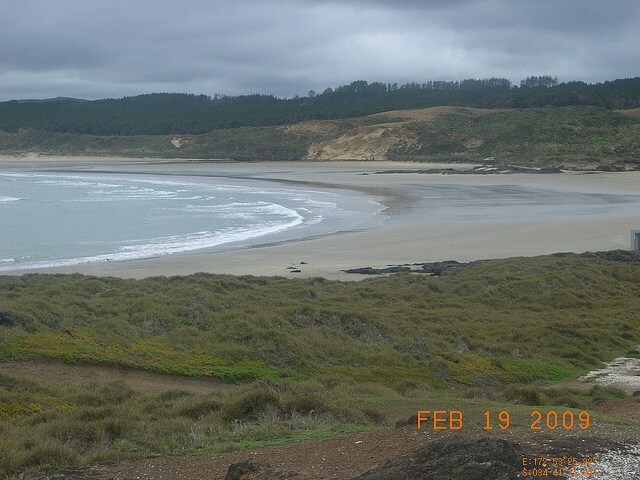 Surfers need to be careful if surfing around this beach as rips and currents can be very strong and unpredictable. Fishing off the rocks is very popular but also dangerous if there is a swell running. The changing tide can have a great effect on how dangerous a fishing position is. Surfcasting from the beach is practiced but fishing from the rocks is much more productive. The Bluff is a very popular fishing spot and if there are no locals fishing here, it is a good indication that the surf conditions are too dangerous. There is a life bouy at the top of the rock for anglers who get themselves into trouble. The beach is our favourite playground, but it can also be a dangerous place. Learn about the hazards at The Bluff Beach and be prepared so you and your family can enjoy the sun, sea and sand safely this summer. Never swim or surf alone. 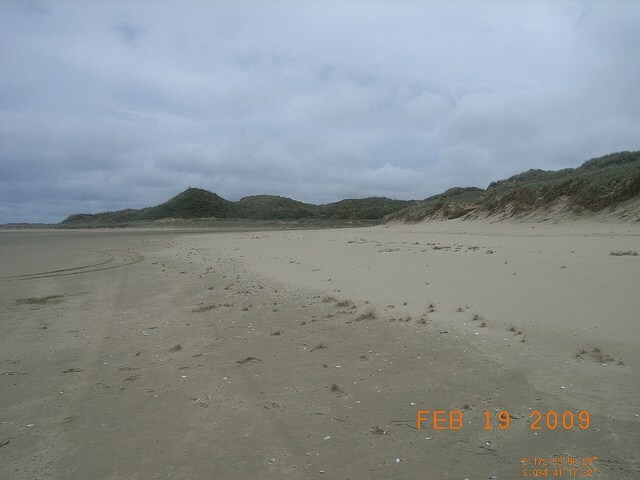 Bluff Beach is located 13 kilometres west of Te Kao, towards the northern end of Ninety Mile Beach. The beach is made up of golden sand and Wakatehaua Island is attached to the beach by a large sand bar. Either side of the island there is a golden sand beach that can be driven along on lower tides. This beach is exposed to heavy seas and strong rips and currents form around the rocks. 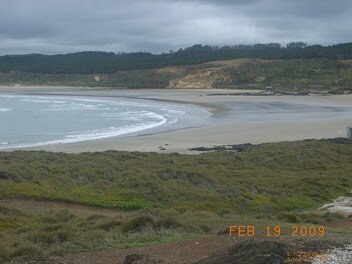 The beach is visited regularly by locals and tourists. On any given day there will usually be heavy traffic along the beach.